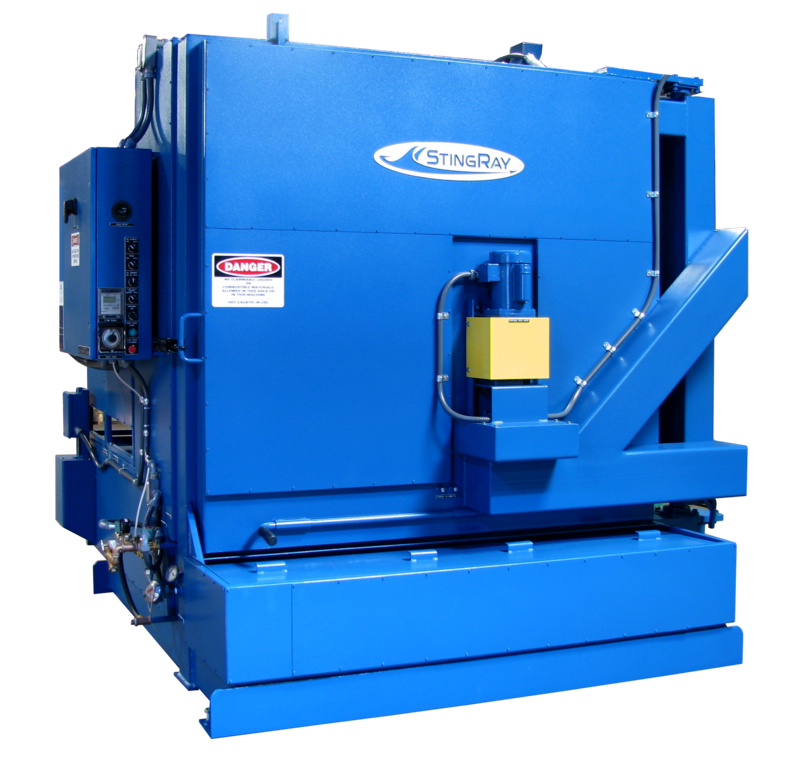 Hot Parts Washers generate steam and water vapor. Water vapor and moisture left unchecked can deteriorate surrounding equipment and even the plant itself. Operators enjoy a steam free work zone. Eliminate steam from your StingRay parts washer with the Automatic Steam Exhaust (ASE) system. 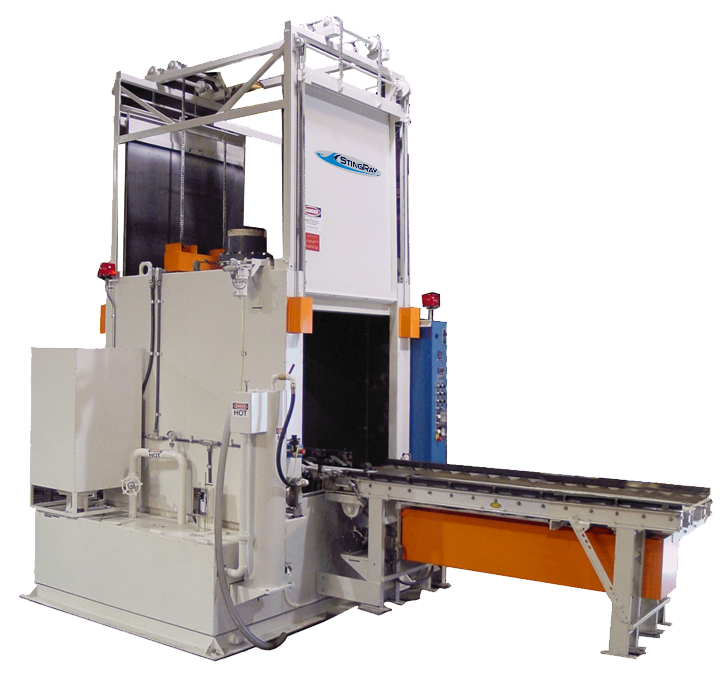 The ASE removes steam from the parts washer cabinet during the cleaning cycle and at the end of the cycle prior to opening the door to prevent discharge into plant. The ASE is cleverly designed to minimize discharge of heat to reduce heat energy consumption while also preventing steam discharge into the plant. The venturi style system automatically compensates as atmospheric pressure changes in building to maintain a constant negative pressure inside the cabinet. The combination of a Stainless Steel Venturi and NO moving parts in the exhaust flow eliminates corrosion and blower bearing failure common in systems with in-line blowers. Included on all StingRay Parts Washers with the Automatic Rinse Cycle, the steam exhaust removes water vapor during the cleaning cycle allowing for a fresh water rinse at the end of each wash cycle. The system discharges no rinse water outside the parts washer meeting Green Technology initiatives and EPA guidelines. 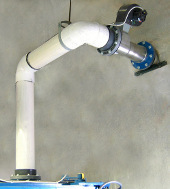 PVC swivel flanges, neoprene gaskets and fasteners simplify the installation of the PVC exhaust piping. Flanges mount one each end of the ASE venturi and blower assembly and on the washer cabinet. Swiveling flanges mate with the parts washer steel flanges and steam exhaust housing for speeding installation. The virgin PVC provides an excellent bond for piping joints and the high-temperature rating is compatible with the StingRay washing temperatures. Swivel flanges allow pipe joints to be bonded without worry that bolt holes are not lined up prior to bonging ensuring excellent leak tight bonds. Gaskets and flange connection hardware is included with the three swivel flanges.